It is 3:08 PM Friday afternoon in the death flow. It has been a cold gray snowy wet rainy day. It is hard to believe next week we will be in the season of Spring 2019 here in the Waste Land. I have a normal Friday thus far. Carol has not called me from the West so I do not know how her day is going. This morning I volunteered at the library used books store The Book Nook. It was not busy so I read from a book I gotten on library loan from the University of Michigan titled, 'Life Class: The Selected Memoirs Of Diana Athill' With An Introduction By Ian Jack. 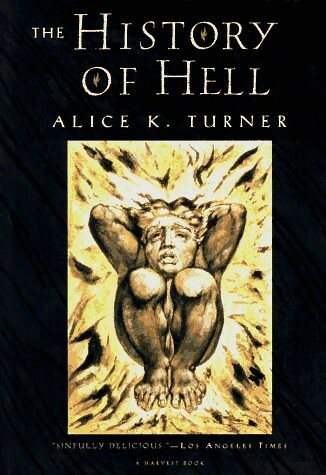 I brought home from the Book Nook one used book to ADD to our library titled, 'The History Of Hell' non-fiction by Alice K. Turner. I got home from the Book Nook around 1:15 PM. I ate food and then wrote in my paper diary. Nothing came in the mail this afternoon to bring sunshine into my bleak existence. Yesterday I basically read all day from a novel titled, 'Merry Men' by Carolyn Chute. There is not much else to report this afternoon. I suppose I will close to wait it out.